So finally today I celebrated another anniversary of blogging . I started as a non serious blogger in 2010 and had a lean time of blogging for 2 years and then on Nov 4th 2012, I started to blog with seriousness. Today is my first anniversary of dedicated blogging. Back then, I had just one follower and it was only me, but now, I have 25 and also my page views increased drastically and so as the posts. 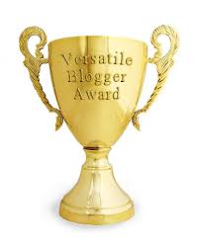 I also got one Leibster, ABC and versatile blogger award. Thanks to my fellow bloggers for awarding me. I had a fruitful experience reading fellow blogger's posts. People have so many talents, some are good at story telling, poetry, painting, photography , opinions etc. It surely motivated me. It taught me many things and also has changed my perspective. I think, it was the right decision to join indiblogger. I seriously dont regret the decision. I thank all of them, and I wish to develop my content and blog much productively. The power of the pen has always been under rated. The happiness you are feeling today on this anniversary shows how important creative writing is in your life. We at athenastake pray for your blog to grow and more important than that is for you to keep enjoying this writing and have many many more anniversaries. thank you athenas take...thanks for all the encouragement.